Given the relative silence of the media on this gruesome murder case, I thought I would post excerpts of the Grand Jury Report and other snippets to create more exposure. Because we really need to get the word out. So today's snippet is about how Gosnell fudged ultrasounds to give the impression that the late-term abortions he performed were legal. 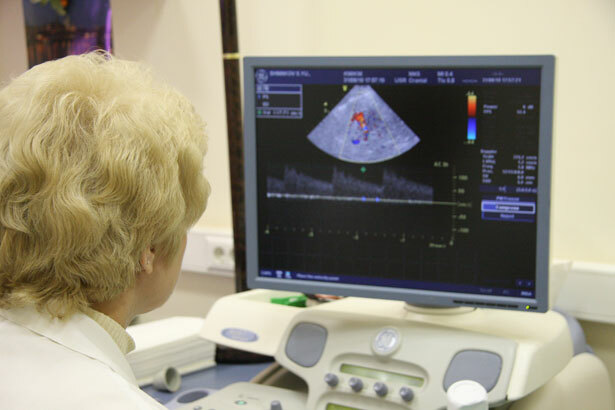 The law requires a measurement of gestational age, usually done by an ultrasound. The ultrasound film would leave documentary proof that the abortion was illegal. Gosnell’s solution was simply to fudge the measurement process. Instead of hiring proper ultrasound technicians, he “trained” the staff himself, showing them how to aim the ultrasound probe at an angle to make the fetus look smaller. If one of his workers nonetheless recorded an ultrasound measurement that was too big, it would just be re-done. Invariably these second ultrasounds would come in lower. In fact, almost every time a second ultrasound was taken, the gestational age would be recorded as precisely 24.5 weeks – slightly past the statutory cutoff. Apparently Gosnell thought he would get away with abortions that were just a little illegal. In reality, of course, most of these pregnancies were considerably more advanced. The thing is: this is done every day in the United States. Ultrasounds are routinely fudged to make the patient look less pregnant than they really are. Feminists think that Gosnell should not have to contend with gestational limits. It makes no difference to them whether the baby is 3 weeks along or 30-- all abortions should be legal. They think: if a third trimester baby has to suffer and die inside the womb, so what?